IN 2007 OUR FATHER SHOWED SIGNS OF A NEUROLOGICAL DISORDER. ORIGINALLY DIAGNOSED TO BE ALS, WE NOTICED HIS MOBILITY AND MUSCLE STRENGTH STARTED TO DECLINE. WHAT STARTED AS A GRADUAL LOSS OF STRENGTH IN HIS ARMS, LED TO BALANCE AND MOBILITY DEGRADATION EVENTUALLY MOVING TO THE REST OF HIS BODY. Throughout this journey, our family spoke to our doctors and friends about options and what we could do. Upon recommendation from our family Doctor, we contacted the Winnipeg Regional Health Authority to enquire what kind of help might be available. At the very beginning, WRHA offered staff assistance of perhaps 20 minutes per day, but because their staff served many patients during the day and was only available to help him start the day, it was not long before it did not provide the service needed. Accustomed to starting his day before 8 o’clock, he might have to lie in bed until 10:30 AM before the worker could come by and one could never be certain who that worker might be. During the next few months, our father lost virtually all the strength in his legs. Getting up and down the stairs and into a shower became a real problem. The service initially offered helped, but our eyes were opened after the WRHA conducted an assessment, assigned an occupational therapist to review his needs and advised us of a larger range of service options that would help. In spring 2014, they advised he would need 5 hours of care per day and they made us aware of a program called Self Managed / Family Managed Care. Within a year, the WRHA re- assessed my father’s needs, and determined he needed 60 hours of help per week. 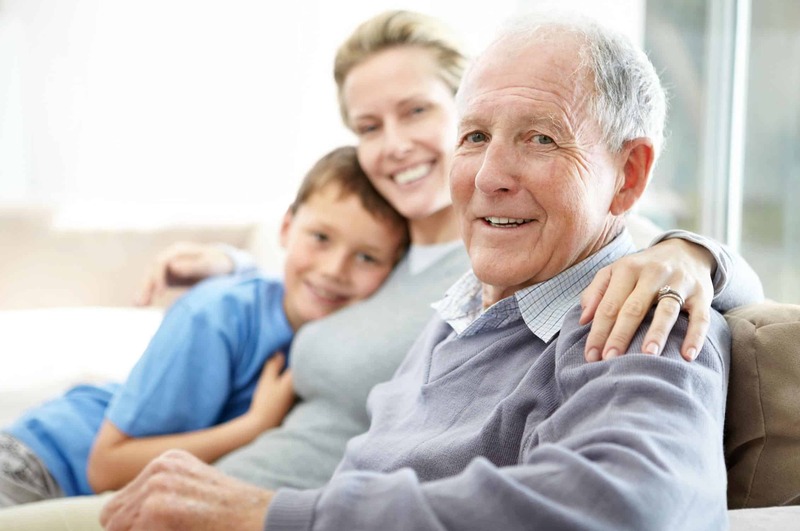 Because of our how company works with the WRHA’s Self / Family Managed Home Care program, not only was our father able to remain in his home, but he continues to feel safe and remain a family contributor while maintaining his dignity. None of this would have been possible without this program. SFMC allows Manitoban’s through a private Agency to build a truly customized level of service specific to their individual needs. For our family, this meant our father could be helped out of bed at the time he wanted to be moved instead of waiting sometimes for hours for someone to arrive. Rather than having to deal with new people coming to our house almost every day, he could rely on the same Care Giver. This resulted in a less stressful environment for both our father and the Care Givers, as he no longer needs to retrain a new worker each and every day on how how to move him. In addition, our father can have a shower as often as he wants, and is no longer limited to just one per week, which just was not enough. In addition, moving to the Self / Family Managed Home Care program, has enabled our family to develop meaningful relationships with the Care Givers that serve our family. Over the last year as we speak with friends who are experiencing similar issues within their family, we have realized we are not alone. Many are unaware about the options and services available. This coupled with the distress that can accompany a family member trying to provide care to a loved one without the support of a professional team, can lead family members to believe there is no viable option to keep their loved ones at home. At Partners for Home, we have the expertise, vision, commitment to quality necessary and will use our personal experience to help guide you and your family to enable you and your loved ones to remain at home. Our team looks forward to speaking to you about how we can become your trusted Home Care Partner. Marco Pena is the Head of Care Operations responsible for the day to day activities at Partners for Home. Marco completed his studies and earned his Bachelor of Science degree in Nursing and is completing his Masters degree in Nursing. Marco is a fully certified Health Care Aide and graduated the top of his class. As a Registered Nurse, Marco has experience providing disaster and humanitarian relief through his service with the Marines. Prior to joining Partners for Home, Marco was the Nurse Unit Manager and Staff Nurse of the Operating Room Complex and Cardiovascular Operating Room at St. Luke’s Medical Center, an Internationally accredited partner of the Mayo Clinic, where he had a team of over 100 staff reporting into him. Marco is compassionate with a relentless focus on providing the highest possible Customer experience. He truly cares about the families we serve and the employees that report into him. Marco also currently sits as an advisory representative for the Winnipeg Regional Health Authority providing oversight, recommendations and evaluations of Health Services here locally. Hear directly from our Customers about their experiences with Partners for Home.